Anyone managing a business knows that marketing is a big part of brand success. Most of the time, though, marketing efforts are only focused on online ads, social media, and other external strategies. What marketers forget is how to maximise internal branding, which refers to how your products or services are understood by company staff. The employees themselves may be unfamiliar with the brand and the products that the company offers. Alternatively, worse, they may disapprove of the brand! This could spell problems for any given brand, simply because, if its own workforce does not believe in the brand, then why should the public believe in it? Marketing strategies, whether involving a brand launch or supply chain activities, must be introduced and discussed internally to make sure every employee understands the goal. When you facilitate internal branding, employees become part of the whole marketing campaign. From the receptionist, the shop clerk, and all the way to the HR Manager—they can all contribute to how the general public will perceive your brand. Moreover, if these employees aren’t invested in your business, their lacklustre comments and disposition could cause long-term damage to your company. In fact, conversations and word of mouth, both offline and online, have a significant impact on sales. Studies suggest that internal branding not only enables employees to improve their brand attitudes and commitment but also enhances work retention in general. Hence, your branding should start from the inside. Put your house in order and make sure that all employees absorb everything about the brand: its values, purpose, and position. 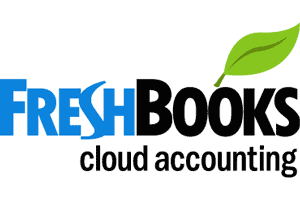 Only then can the brand be launched credibly to customers. If all employees are on board, then they can communicate and engage target audiences on an ongoing basis. 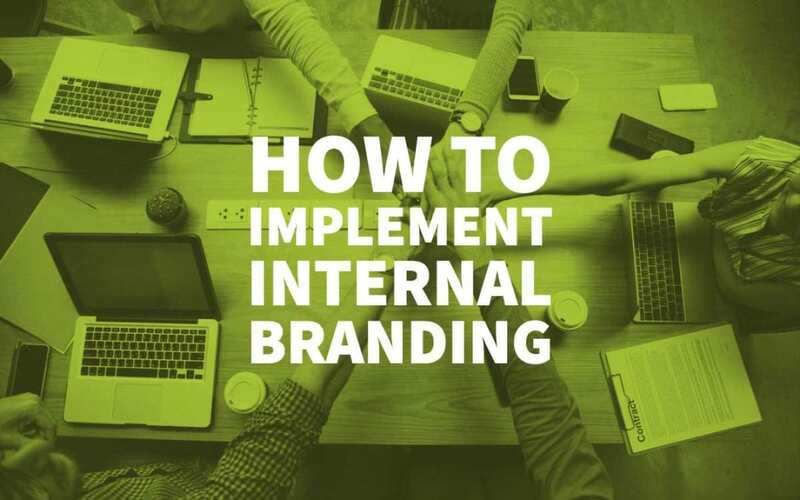 Internal branding is centred on connecting your employees with your brand vision. Essentially, you are creating brand ambassadors with your workforce, as they stand by your core values and brand identity and relay the message to consumers. From the outset, your company should have a definite set of values that outline your direction. Being clear about this enables you to have an identity and a sense of purpose that can be communicated to employees. Companies should never discount the power of values. Research suggests that companies with a higher sense of purpose outperform the competition by as much as 400%! Findings also show that businesses whose value system elicits pride and joy, foster emotional connection, inspires exploration, and impacts society are those that are usually enjoying the highest growth in their company. 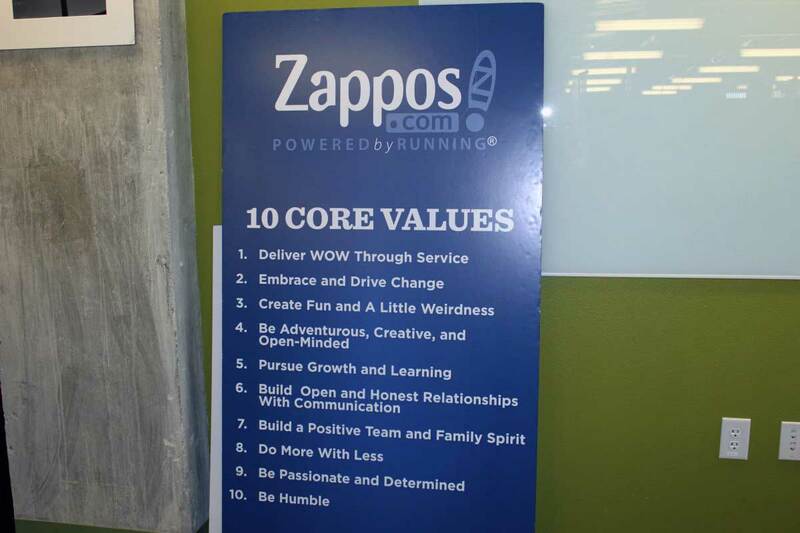 One good example is Zappos, where they lay out the “Zappos Family Core Values” to explain the purpose of each employee: to deliver happiness. The staff have a uniform mindset and goal for the brand. Zappos takes it even further by offering an early exit payment of $2,000 right after training, just to ensure that everyone who stays really wants to be part of the company. There’s rarely a shortcut to achieving strong internal branding and alignment within a company. However, at specific turning points, like new leadership, a new location, or a significant product shift, employees might be more open to a new internal branding strategy. Of course, the company changes rarely happen without any issues, especially when employees still hold on to old perspectives. Hence, it’s essential to get into the heart of employee attitudes and points of pride. This will help you overcome challenges and resistance. 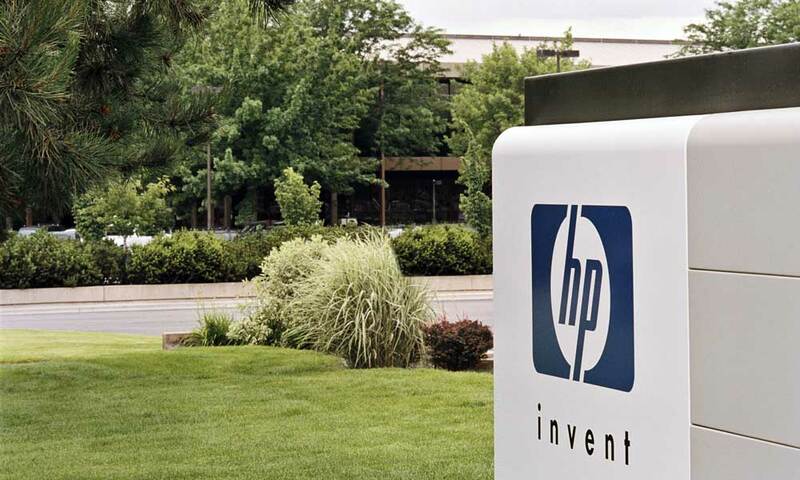 As in the case of Hewlett-Packard, when a new leader, Carly Fiorina, assumed the position, she focused on an internal branding strategy encouraging staff to have a renewed vigour for the company. Along with that, a new tagline, “Invent,” became a mantra among the staff. 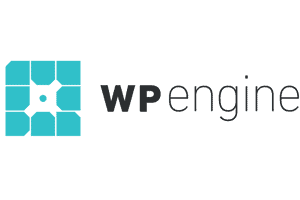 This renewed sense of discovery sent a surge of energy throughout the company. When designing an internal branding strategy, it’s best to look at your employees as a great resource. Their insider knowledge can be tapped through surveys, focus groups, and interviews. By doing so, you can cull out what marketing tactic works, what needs to be improved, and what values can fit your company. Internal research can also provide you with insight on negative perceptions about the brand, which you can review and strategise for before your campaign. Once you have identified the perceptions and needs of your staff, you can then design your approach. Much like an external branding process, it’s best to start with the brand message or story that underscores united values and goals. 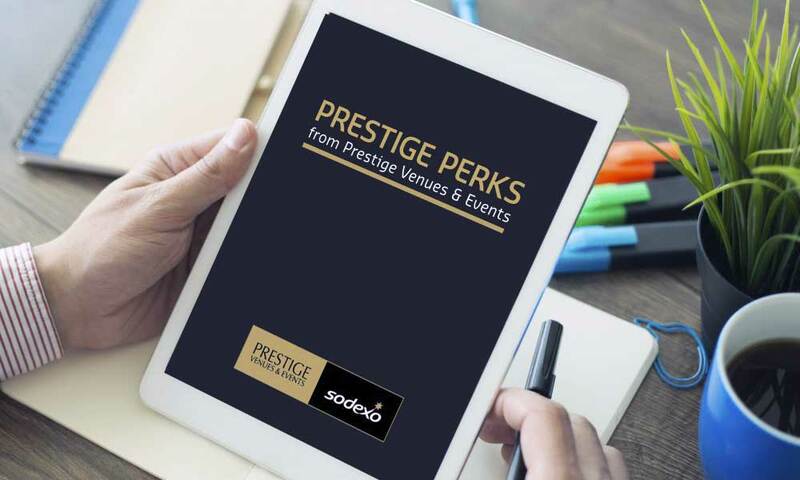 Sodexo Prestige, for instance, during their transition to joining corporate services and leisure catering, launched an internal branding initiative that generated stories of passion for sound quality, fresh food. This addressed negative brand perceptions about their mass-produced food. The results were used for external campaigns like ingredient notebooks, postcards, and a website featuring employees with their individual food stories. Internal branding works pretty much the same way as external branding. You’d want to establish an emotional connection with employees and let it influence how they approach their jobs every day. This changes their mindset even if they don’t interact directly with external customers. By cultivating the connection through brand messaging. You need to design and execute a professional branding campaign that introduces and reinforces the message to employees. Your brand message has to be communicated during their day-to-day work. One example is how Miller Brewing Company did it. Through an in-depth study to learn about employee attitudes, the company found that most employees took pride in the company’s brewing history dating back from founder Frederick Miller in 1855. The internal campaign focused on celebrating a passion for great beer. Their campaign materials included stories about Frederick Miller, a book that celebrated the craft of brewing, shirts that said “I Make Miller Time,” and giant employee posters portraying them as company heroes. 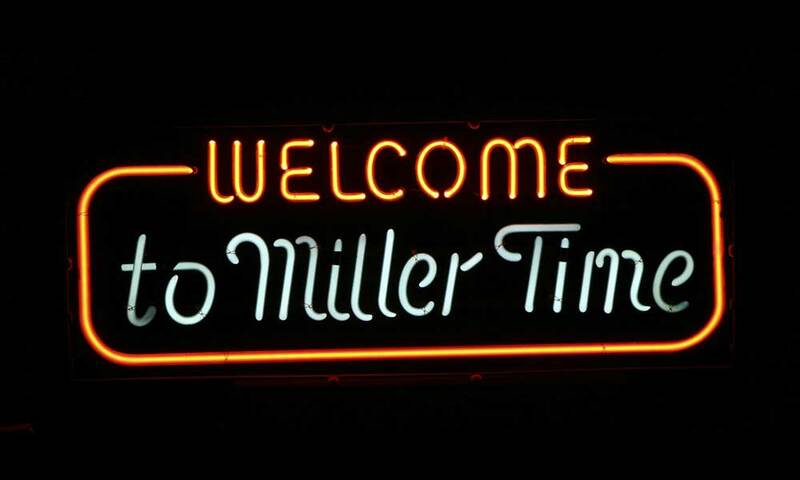 The internal branding campaign ensured that the culture and folklore of Miller Brewing Company remained within the organisation and would endure long after employees left. 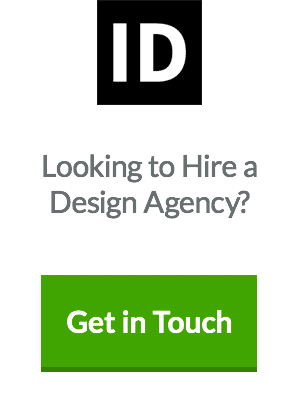 One important aspect of internal branding is consistency. 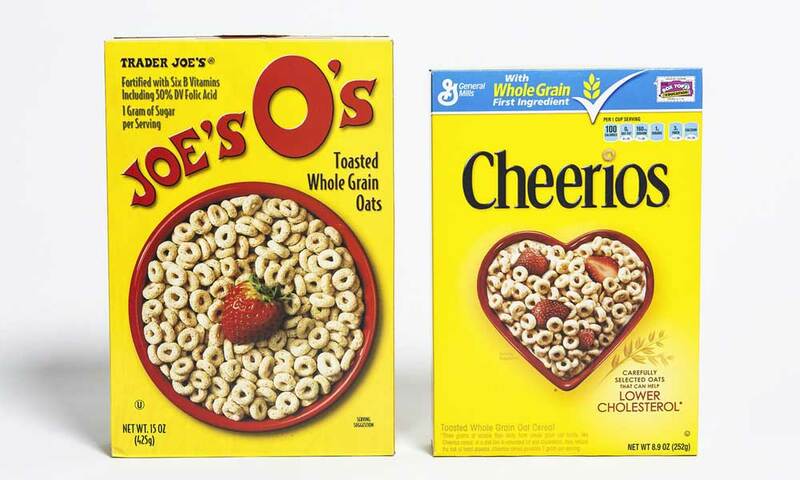 Employees that see mismatched brand messages lose their trust immediately. An example is a company advertising about green energy while outsourcing manufacturing to questionable third-world conditions just to increase profit. This will inevitably result in compromised integrity and a disillusioned workforce. Try always to connect your internal and external branding initiatives. A clear and consistent campaign should be seen across all aspects of company life. Keep company values strong through company culture, work guidelines, incentives, training, and other structures. Even the physical space (architecture, layout, and signage) can be designed to personify the brand. By being consistent on the inside and outside strategies, you ensure that employees don’t just do their job, they actually embody your company values. 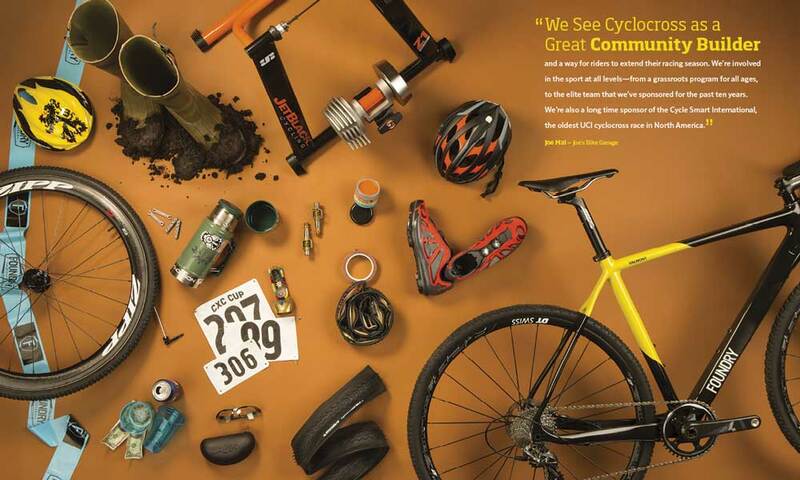 Quality Bicycle Products, bike parts and accessories distributor based in Minneapolis, emphasises its environmental commitment through their policies. They offer a financial reward of $2 per day to employees who ride a bike, carpool or take a bus to work. One common mistake of companies is only prioritising the beginning stages of internal branding, losing steam after the initial launch. To effectively incorporate the strategy and engage employees, it has to be a regular part of the company culture. When employees see the results of their actions, they’re more likely to be motivated to fulfil their responsibilities. Hence, a great approach is to let them know when internal branding has translated to any successful external campaigns. Acknowledge and be proud of the gains that your employees’ personal stories, artwork, and ideas bring to your brand. You can also reinforce positive branding through special recognition, awards, and even competitions. Effective branding evolves; it requires constant engagement and communication among all the people involved, primarily from higher management personnel. Keep in mind that before the public can embrace the brand, employees must value it first. Trader Joe’s is one company that empowered employees and made their retail environment stand out. Their success doesn’t come from the affordable prices. Instead, it’s the fun and quirky touches that give their customers a unique experience. Employee-designed signage and décor, fun product names, and genuine enthusiasm and expertise from employees make for a charming grocery experience. By acknowledging employees’ contributions to the company’s designs, products, and customer support, their belief in the brand is easily seen and felt by customers as well. These strategies demonstrate how internal branding benefits your organisation and your customers. Brand messages that are integrated into employees’ everyday work life ensure that their positive attitude and behaviour become essentially instinctive. So with the right research, timing, and approach, you can be sure that they will serve as brand ambassadors who will engage potential customers and attract them toward your brand. Studies, as well as the real-life experiences shared by businesses, prove that the more effective your internal branding campaign is, the more committed your employees become, regardless of their position or title within the organisation. 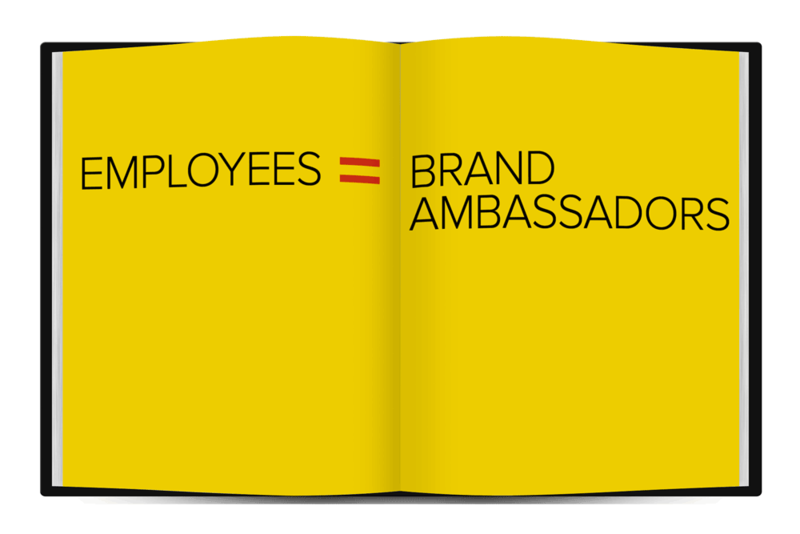 Remember, before the public can embrace the brand, employees must value it first. Great content. 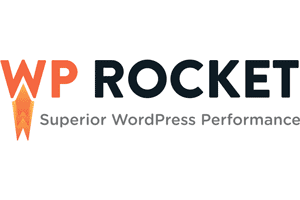 Thanks for sharing this informative and useful post about internal branding. Good job.